For 2019 I have a new theme...it's "TRANSFORMING ME". The video from today and the Pics are from 11 years ago at my bridal shower at age 24. I had recently moved 10 hours away from family and friends, got married and I didn't have a job. I felt lost so I turned to food and started my binge/emotional eating habits all over again (they initially started in HS). It's been a journey to say the least and my Transformation didn't start until I decided to love who I was no matter how I felt or how I looked. I decided enough was enough. I MUST face the demons that had me turning to food if I wanted to be happy. And so my transformation journey started and it's STILL going. We are ALWAYS transforming. Not just physically but mentally too. I've found a system that works for me and I'm not here to say "hey everyone, come see how I look!" My BIGGEST FEAR is people thinking I have an ego....um far from it...trust me. I judge myself too harshly. Instead I want this post to encourage you to NOT. GIVE. UP. I always loved sports but didn't grow up really GREAT at one thing. But being raised in a small town in Indiana everyone played basketball and I was definitely better at playing basketball than I was at test-taking. I 'tried' college and when I say the word 'try' I mean I showed up a few times over the year that I attended. School was NOT for me. So I dropped out. With very little experience and no certifications to my name in 2008 I went for my first license and I became a Zumba instructor!!! And years following I worked for gyms and studios and even opened up my own place. 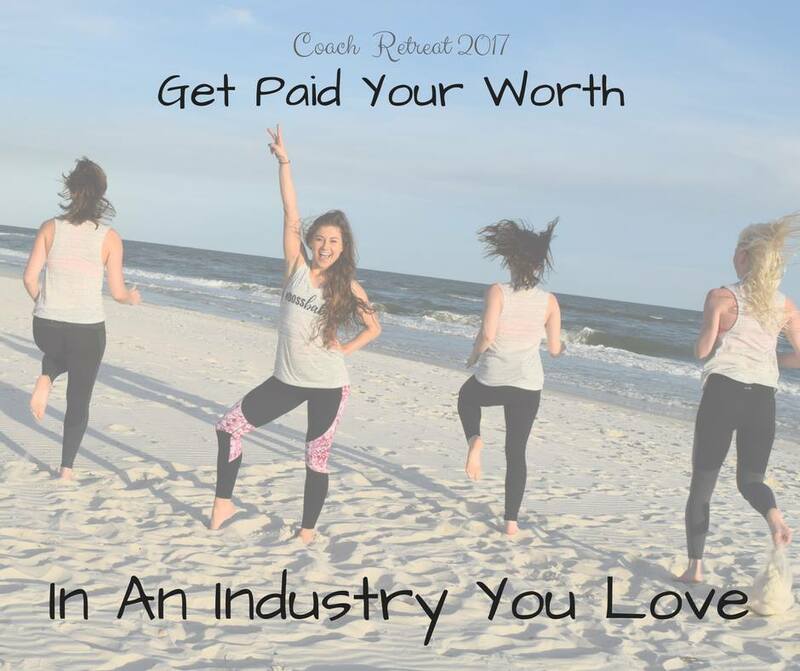 I KNEW I wanted a fitness career but year after year my certification expenses added up- I eventually made LESS than what I was bringing in!!!!! What the what!?!? But one thing it's taught me- people STILL need help with nutrition and fitness & I shouldn't stop trying to help. I didn't want to become a Nutritionist or Dietitian. Going back to school would have put me in debt. So what was left? Was there really a way to make a full time income working for myself and also helping people with fitness AND nutrition? I also wanted to do this job without being spammy. So could it be done? The answer was always there but I didn't have enough belief in MYSELF to pursue it. But in 2014 I took that leap and it's been the BEST decision I've made for my fitness career. And I want to help other fitness pros who might be in the same predicament I was. If you are curious about what I do and HOW helping people online in our Virtual Fit Clubs actually works then I invite you to join my group here. This line of work is amazing and you can connect with SO MANY MORE people online!!!! I just heard IG hit 1 BILLION Active users!!! I mean seriously finding YOUR CLIENTS is easier than EVER now. I mean it still takes work- and you gotta put in the work but you only need about 1-2 hours a day!!! (NO CERTS REQUIRED) I was working full time when I became a Coach and I was worried about juggling my time. Not anymore. I now work LESS because of the time freedom I have. SERIOUSLY THINK ABOUT IT.... Your Schedule is yours and I look forward to seeing if this career path could work for you like it has done for me and so many others!!!!! TTYL!! !